The UAE has continued its lead in the Arab, Middle Eastern and African regions in global export rankings, at 15th place, up by four places, according to a recent report by the World Trade Organization (WTO). The UAE ranks only behind Russia, Spain and Switzerland. The country has also improved its merchandise imports rating to become the 18th in the world, said the report. The report also pointed out that the UAE ranked 21st globally and first in the Arab world, in export of services as well as 17th in the world and first in the Arab world, in the import of services. According to WTO estimates, the UAE achieved merchandise exports grew by 20.4 per cent in 2017, as against a global growth of 10.7 per cent and growth in the Middle East by 18 per cent, during the same period. On the import side, the country's merchandise imports fell by -1.1 per cent compared to 2016, while world merchandise imports increased by 10.7 per cent and Middle East merchandise imports by 1.1 per cent, during the same period, it said. The report states that in terms of commercial services, the UAE achieved a growth of 7.5 per cent in 2017 on the export side, at a value of $70 billion, while its imports grew by 1.9 per cent, at a value of $84 billion. Global commercial imports increased by 7.4 per cent and imports by 6.5 per cent, during the same period, it added. He added that this result reflects the UAE's trade policy which is flexible and facilitates import and export, in line with UAE’s vision 2021. 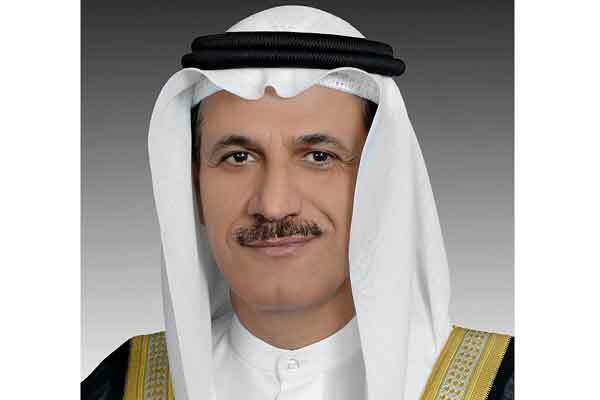 Al Mansoori referred to the UAE’s continuous efforts to develop infrastructure and supporting sectors for foreign trade and highlighted the achievements in the ports, airports, logistics, transport and civil aviation sectors globally. He pointed out that UAE's trade volume growth described in report reflects the continuous national efforts over the past years to build up a dynamic foreign trade sector based on the UAE’s efforts at building a multilateral trading system. According to the WTO report, the UAE has continuously maintained its position among the top 20 exporters in the world, right from 2007 until today, and is also the first among Arab countries since 2013. The UAE accounts for 2 per cent of the world’s total merchandise exports in 2017 compared to 1.7 per cent in 2016, and 1.5 per cent of the world’s merchandise imports for 2017, as against 1.4 per cent of world commodity imports for 2016. The report also revealed that it expects global trade volumes to grow by 4.4 per cent in the current year, recovering rapidly, and 4 per cent in 2019, especially since it achieved the highest growth rate in 2017 for six years at the rate of 4.7 per cent. It added that the import-export average was well above estimates at 3.6 per cent in September, accompanied by gross domestic product (GDP) growth of 3.2 per cent in current market prices during 2018 and 3.1 per cent during 2019, but that the trend may dissipate if trade tensions faced further escalation. The report also said it expected an increase in the volume of trade, between 3.1 per cent and 5.5 per cent in 2018, based on current GDP expectations. However, if there were disruptions, the report said the rate would decrease.